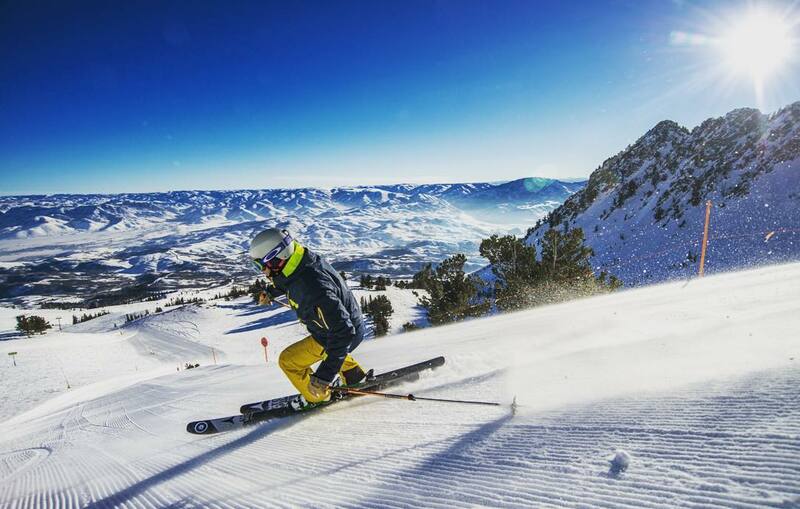 Snowbasin Ski Resort is ranked No. 60 in North America for its total snowfall during an average season. 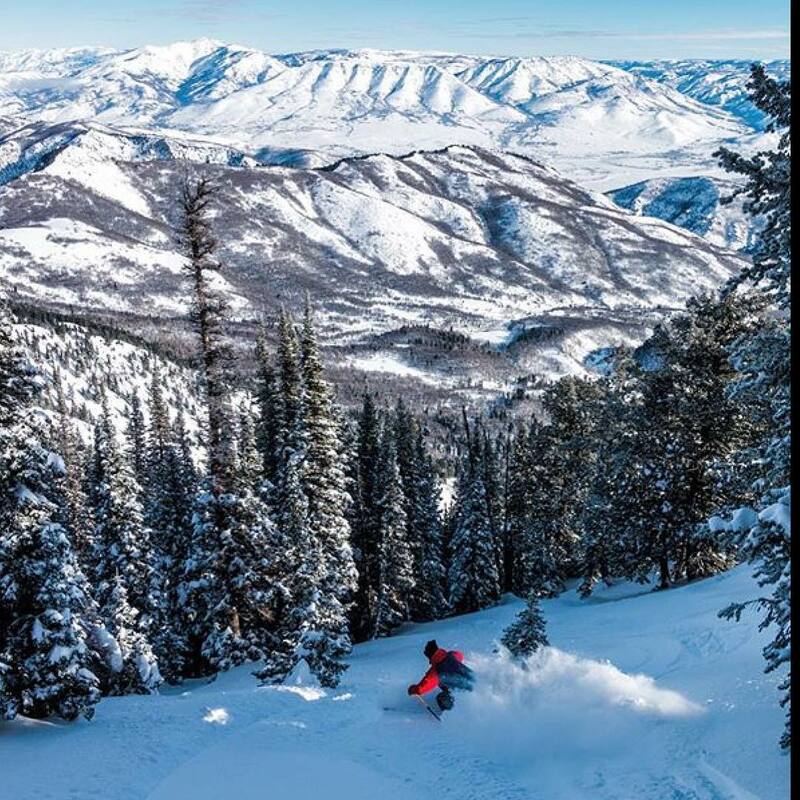 Snowbasin occupies a stretch of the Wasatch that's quieter than Park City and Little Cottonwood Canyon. It's only 20 minutes or so from downtown Ogden, and about 50 minutes from downtown Salt Lake. 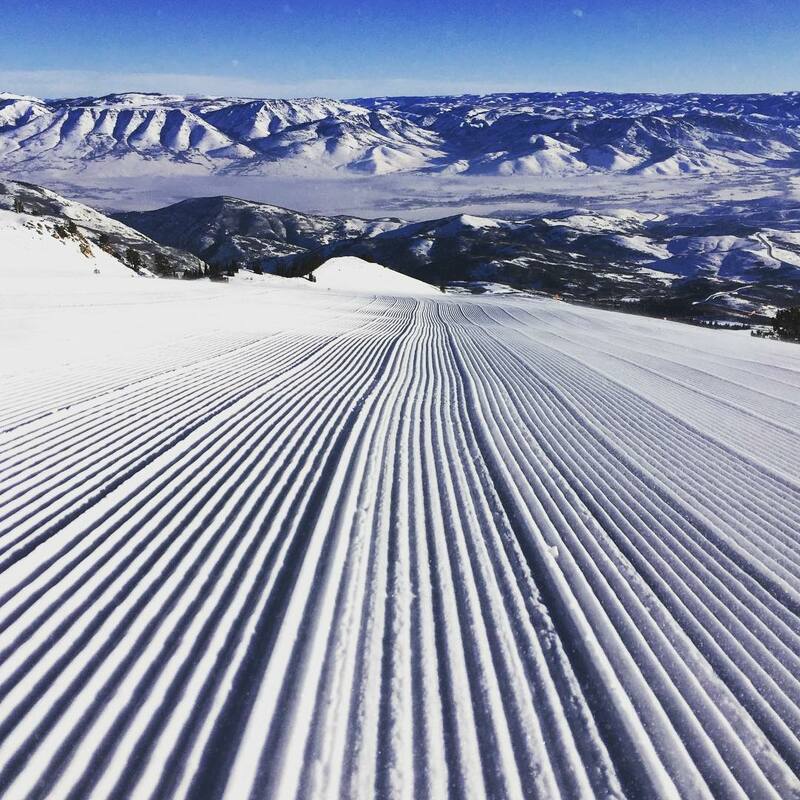 The resort's erstwhile owner, Sinclair Oil Tycoon Earl Holding, who passed away in 2013 and who also owned Sun Valley, dumped a lot of money into Snowbasin in a series of improvements that were far more lavish than the modest resort's skiers would have required. So enjoy it—the base lodges here stack up with those at any big time destination resort in the west or east. 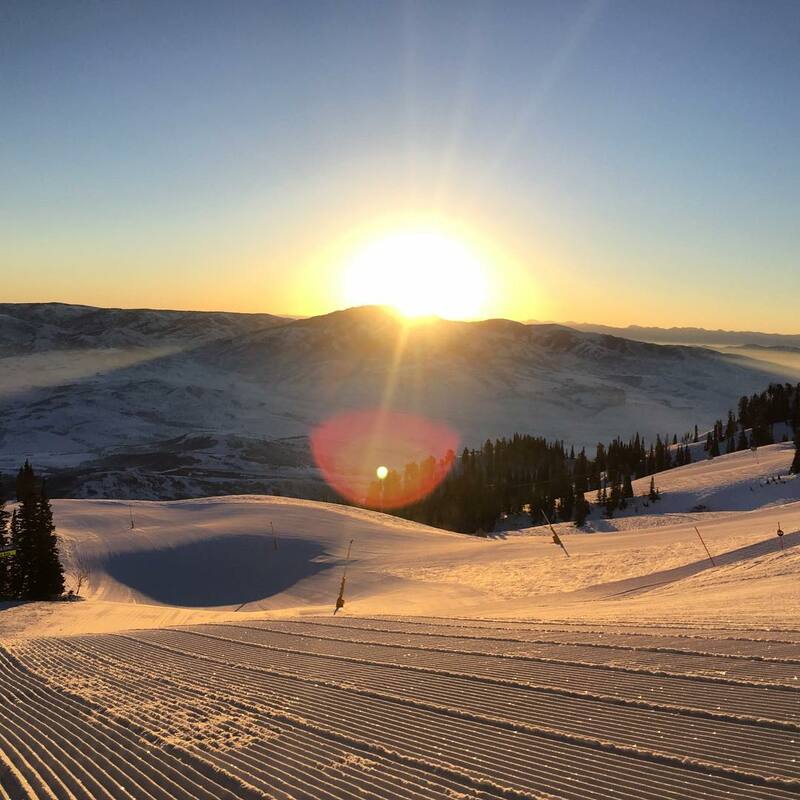 Many of these improvements came just before the 2002 Winter Olympics, widely recognized as the best Winter Games ever hosted, came to Utah. Snowbasin hosted two of the premier alpine events: the mens's and women's downhill races as well as both Super G races. 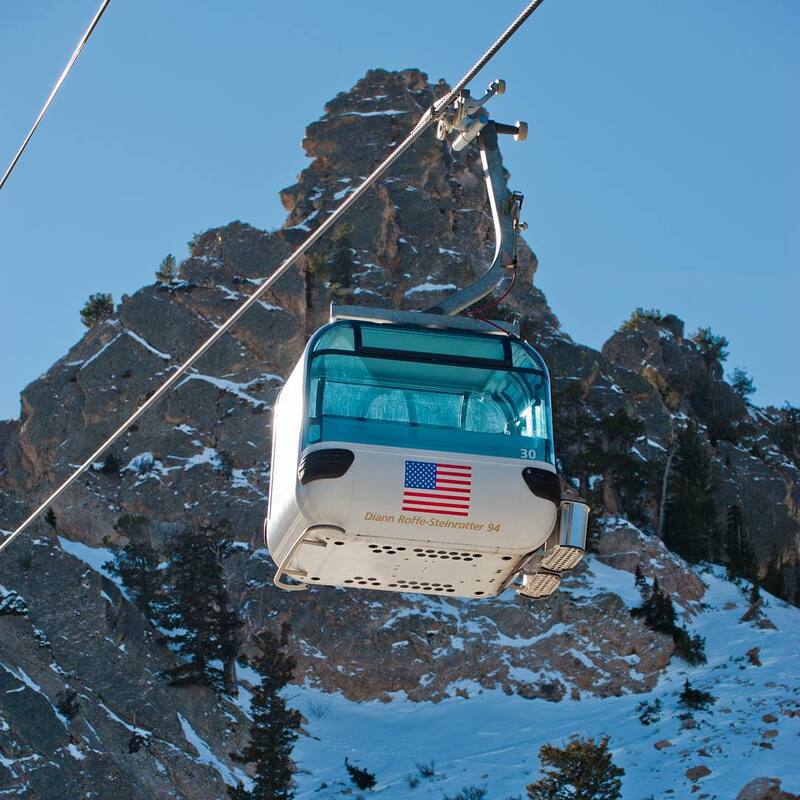 To access the top of the race courses, skiers board the Allen Peak Tram. While looking out the windows, skiers can steel themselves for the steeps that await. 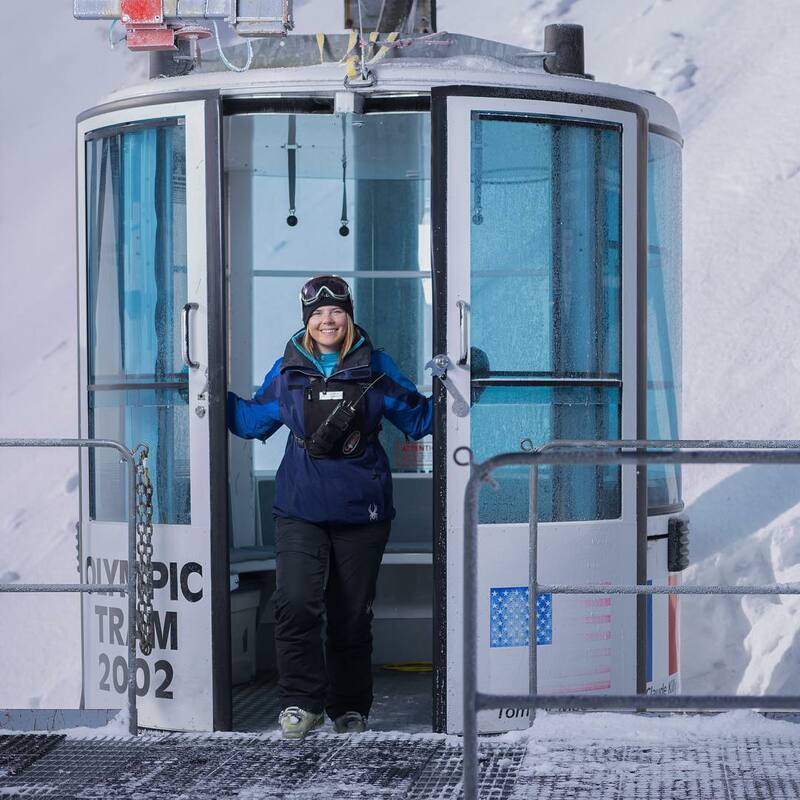 In addition to the Allen Peak Tram, the lifts at Snowbasin are among the best in North America. For a rather sleepy resort, the mountain possesses an enviable set of people movers. First among those are two high-speed gondolas, the Needles Gondola and the Strawberty Gondola. Blue terrain exists off of both of the lifts, but the Needles Gondola is the preferred lift for intermediates, as they can access a bevy of easy-going groomers and cruisers after a comfortable ride up the mountain. The Strawberry Gondola gets skiers to some of the best terrain on the mountain. There are shots here, far to skiers left, that stack up with the steeps at Alta and Snowbird, although they don't ski as long. 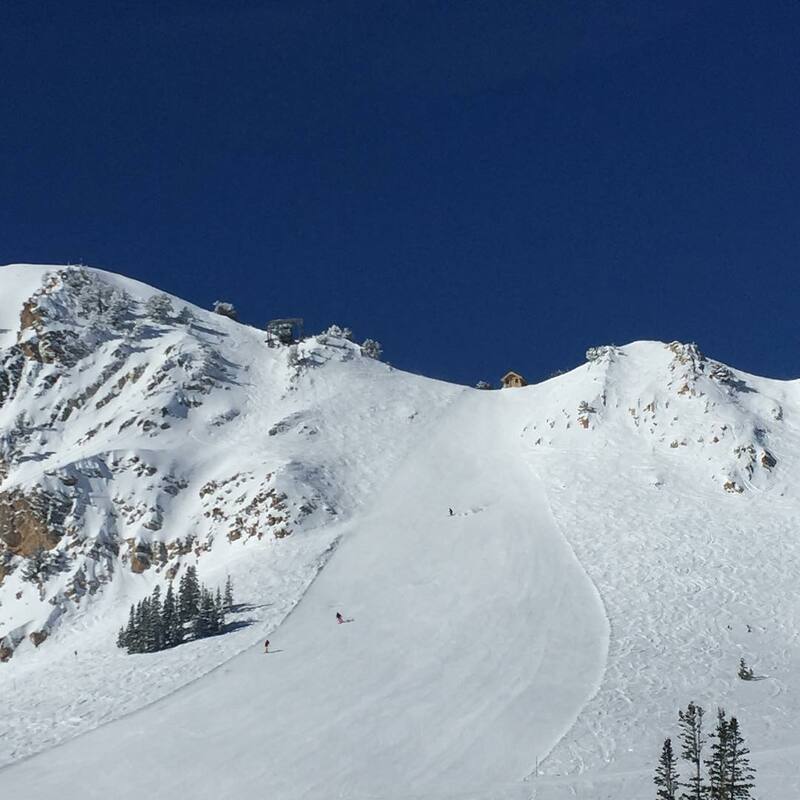 Enterprising skiers can get into the Middle Bowl Cirque and ski Arrowhead, Flamingo and Let It Be for steeper drops and preserved powder. Not quite as far left takes riders past major league cliff bands and all sorts of huckable powder holes for those who spend a little time looking. Skier's right leads down Sisters's Bowl and Get Back, a lengthy ride of legit fall lines, short glades and open snow. 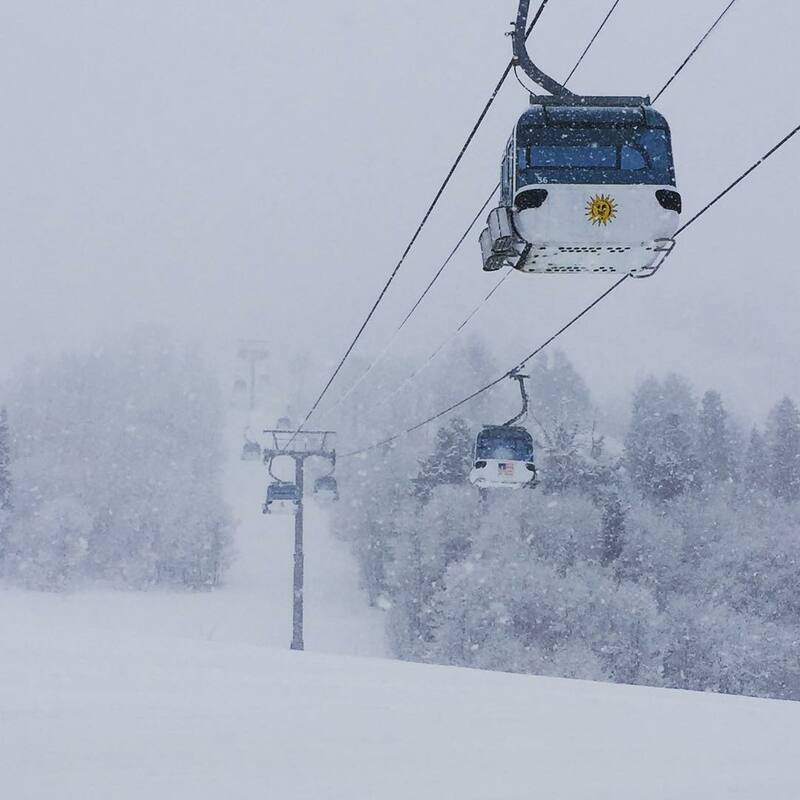 Snowbasin gets 20% to 30% less precipitation than do the resorts on the Salt Lake side of the Wasatch, like Alta, Snowbird, Solitude, and Brighton, but the lack of crowds at this place make it a prime candidate on a big snow day when others are flocking to the usual suspects. Located west of Snowbasin resort and with over 80,000 people, Ogden is not a small place and it's not just a town adjacent to a popular ski resort. At night, walk down Historic 25th street when it's all lit up. You'll find art exhibitions, galleries, plenty of restaurant options and maybe be able to pop into a country dance at the historic Union Station. You'll need a car, but grab a morning bite at Kaffe Mercantile, a small, hidden neighborhood gem where the coffee is legit. For dinner, you'll have no trouble finding good bar food and more on the main drag but try Hanamaru Japanese Sushi & Kaiseki Restaurant for something different. 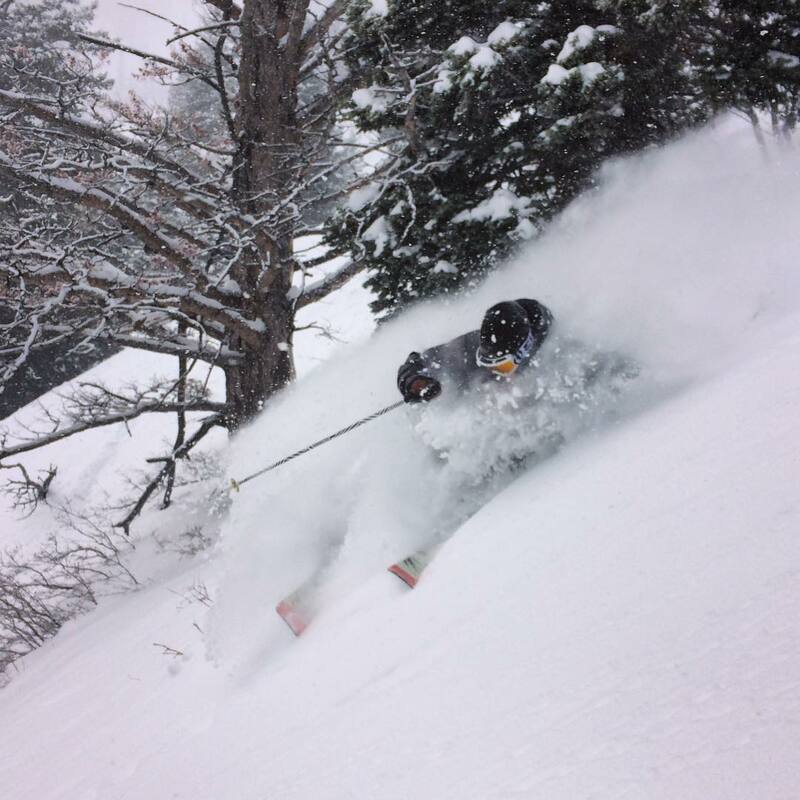 At Snowbasin 12.8% of winter days see 6 inches or more of snow, 11% of winter months see 90 inches or more, and 22% of months see less than 30 inches. These are average figures for Rocky Mountain ski resorts. 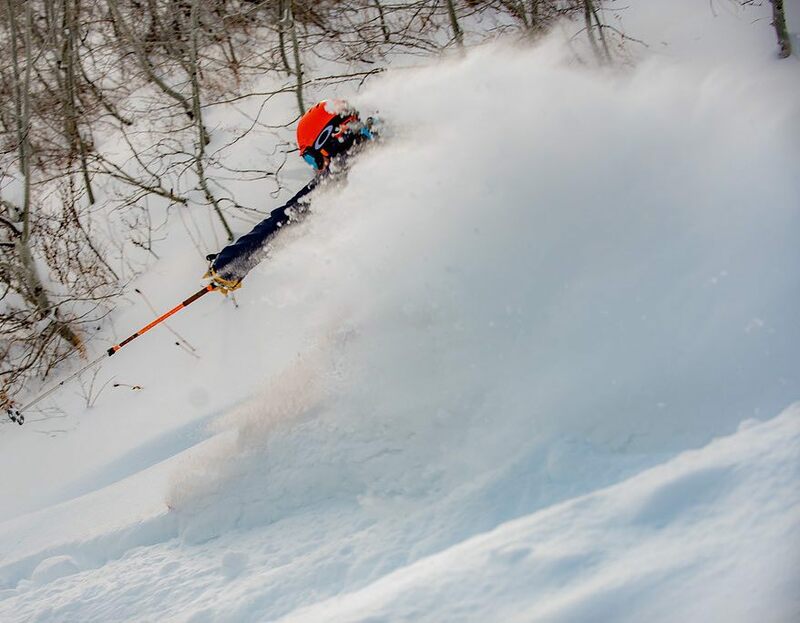 Due to greater distance from Salt Lake and Park City and a modern lift system/layout built for the 2002 Olympics, Snowbasin skiers can rack up huge vertical on powder days when most people are battling the crowds elsewhere in Utah. 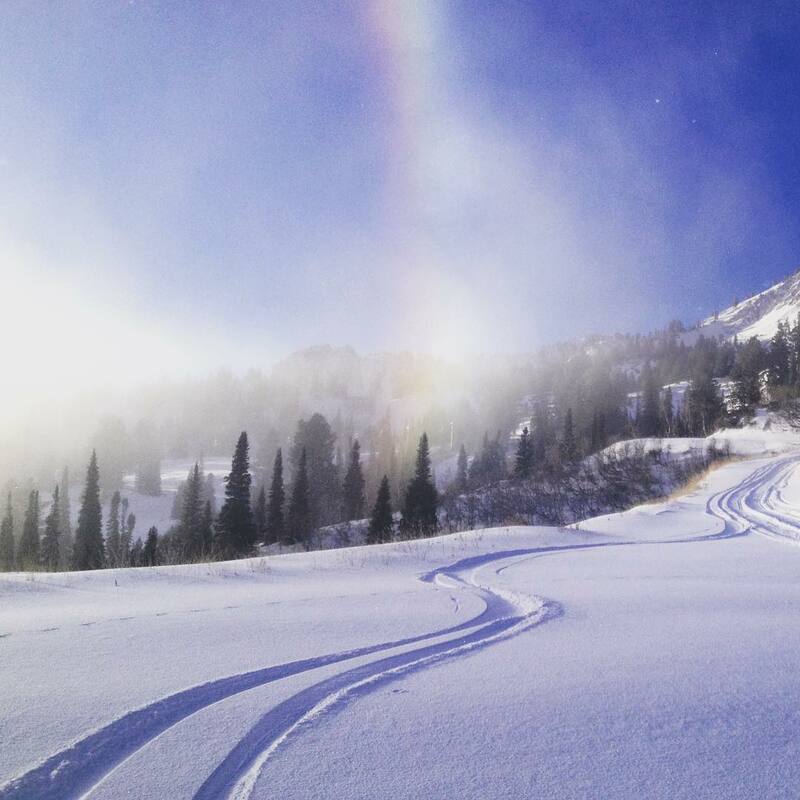 Snowbasin averages 73% open at Christmas with about 30% of seasons being less than half open by Christmas. Snow preservation on the third of terrain that faces north is good, but the primary exposure is east and the base is only 6,400 feet. Thus much of the mountain can melt/freeze when it hasn't snowed recently. 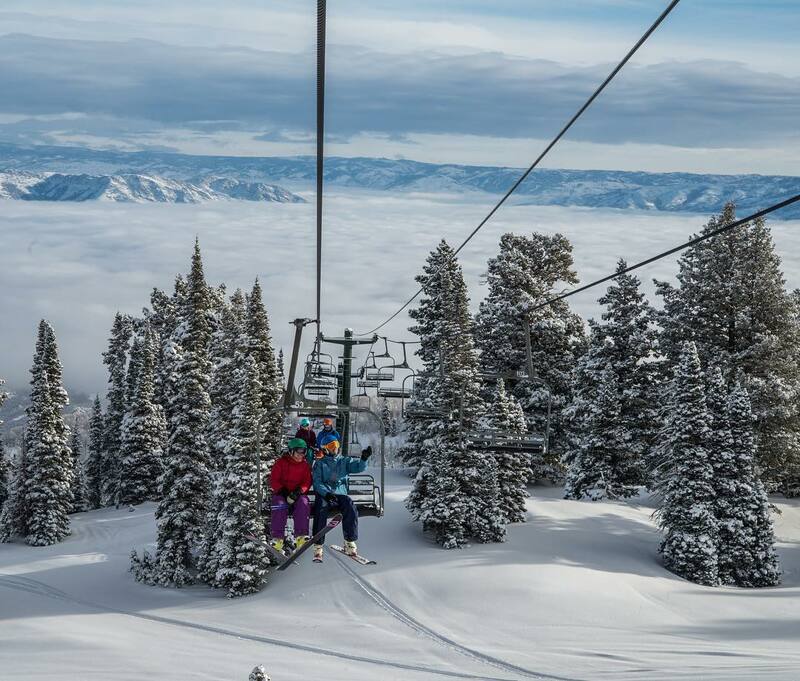 Snowbasin like many resorts has its most reliable snow conditions from mid-January to mid-March.